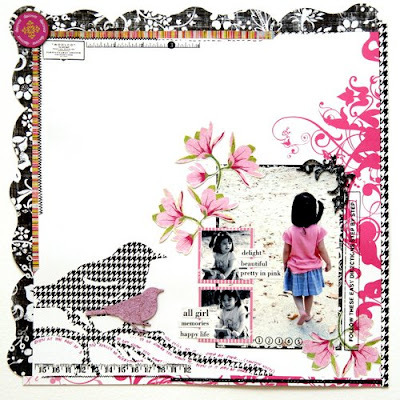 I found this in Memory Makers Blog, a funky edges layout from our DT Iris, Memory Makers Master 08'. Quite apt, showing how she mixed the old and new!!! (refer PSA Challenge 12). Materials used: Patterned Papers from Autumn Leaves, Heidi Swapp, Pink Paislee and Basic Grey. Chipboard by Scrapping Outback and Word Strips by Teresa Collins.